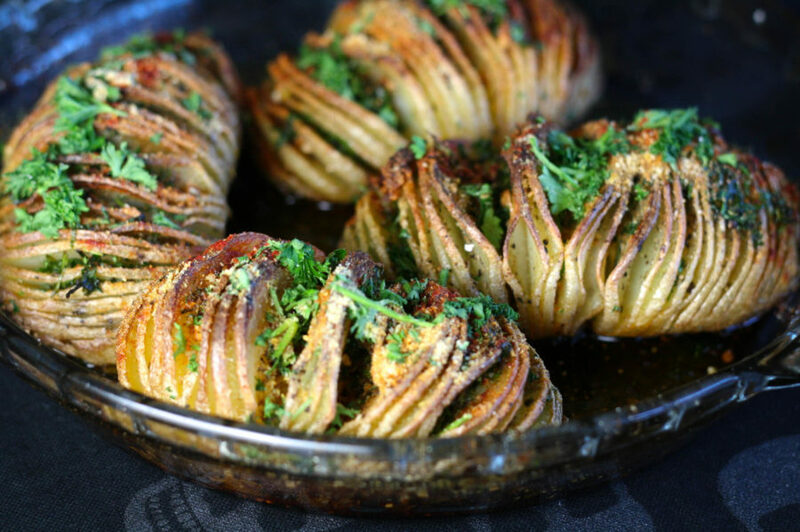 Oh Hasselback potatoes…a side dish from heaven. 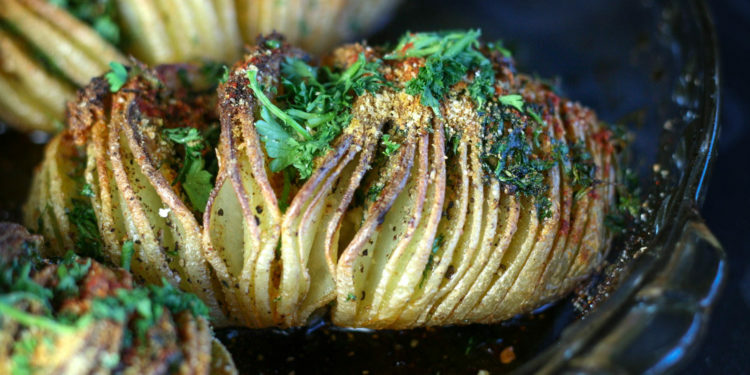 These are basically what you make when you feel like french fries but want to look fancy. 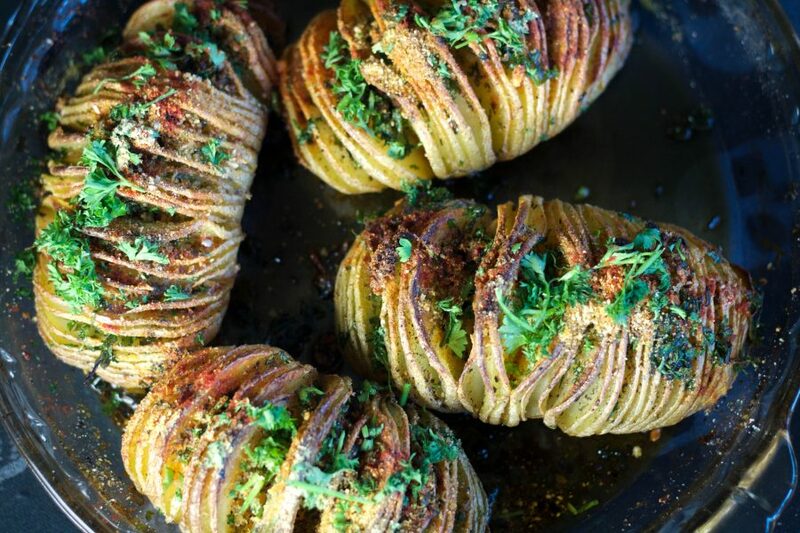 By thinly slicing the potatoes but not all the way through, you’re able to create lots of room for the olive oil and coconut oil to get all up in thurr and crisp up every edge. The inside is left soft and creamy and you get plenty of that french fry texture on the outside. Ohhhh baby! 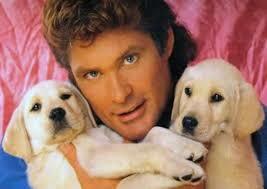 The only downside is that I can’t stop thinking about David Hasselhoff every time I think of Hasselback…. 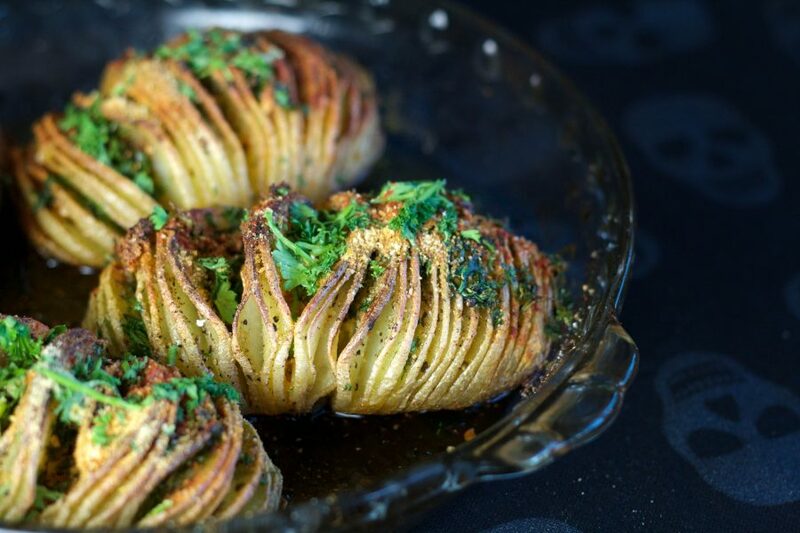 You can leave these babies simple (sea salt, pepper) or do them up like I did with lots of flavour from chives, parsley, flaky salt, smoked paprika and nutritional yeast ‘parmesan’. Slice the potatoes about 1/8"-1/4" thick without going all the way through to the bottom. Place in a baking dish. In a small pot stir the coconut oil and olive oil together until coconut oil is melted. 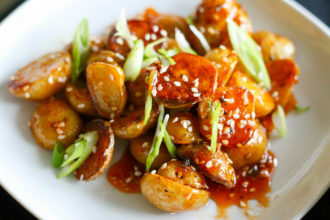 Brush oil mixture onto each potato until well coated. You should use about 1/2 of the oil mixture. After 25 minutes the slices in the potatoes should have opened up some. At this point you can brush the remaining oil mixture onto each potato, taking care to get the oil in each cut of the potato. This will help them to get crispy! If you have to, you can scoop up the oil mixture form the bottom of the baking dish and add that on top again. 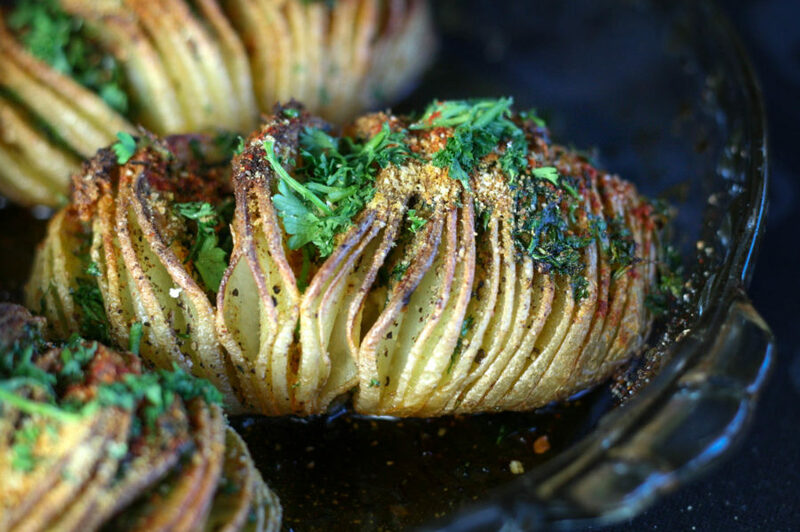 Sprinkle the minced garlic onto the potatoes and try to squish it between the slices so it gets nice and roasty in the oven without burning. At this point you can add the chives, parsley, salt, pepper, smoked paprika and nutritional yeast 'parmesan'. 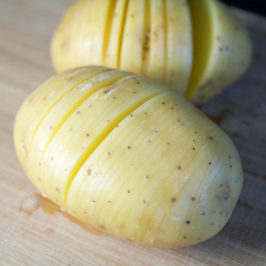 Make sure to tuck these well into the slices in the potatoes. 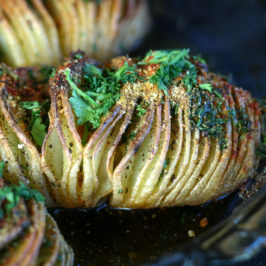 Remove from the oven and garnish with the same ingredients you stuffed into the potatoes. ENJOY! Combine all ingredients together in a high speed blender and blend until the texture resembles parmesan cheese (don't over-blend into a puree).